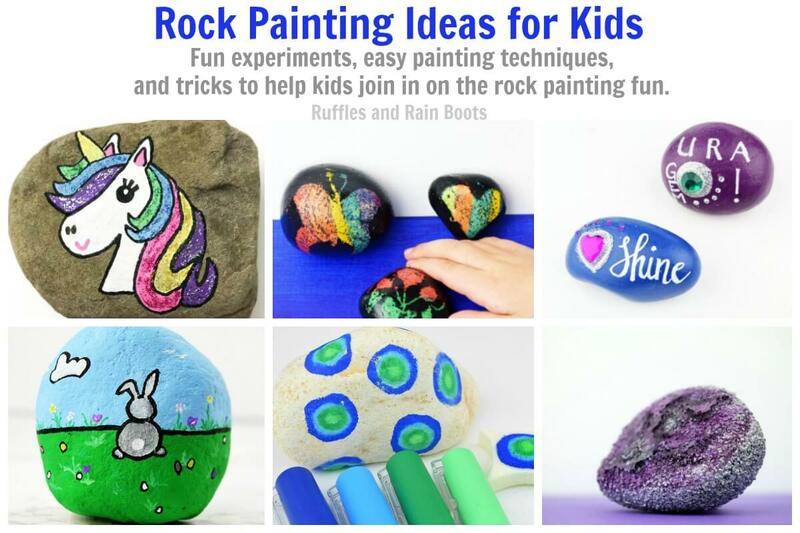 Let the youngest in on the trend – we’re sharing rock painting ideas for kids. 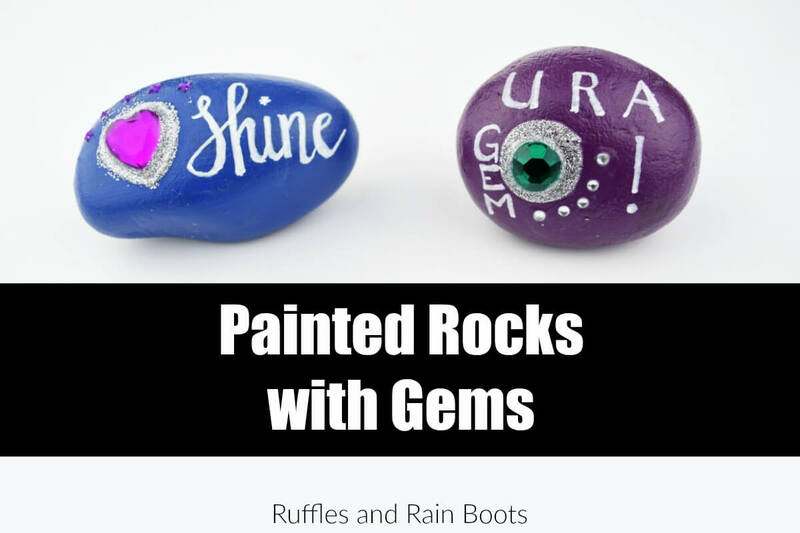 These painted rocks are fun, easy to make, and we’re sharing ALL the tips and tricks we’ve learned painting rocks with children. 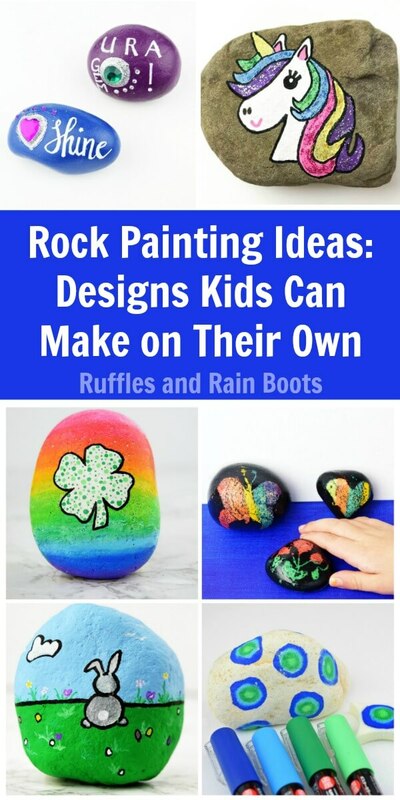 Although we share many rock painting ideas here, anything on this page will be rock painting ideas for kids as young as 5. We have done some of these many times, so if you have any questions, just visit us Ruffles and Rain Boots Facebook or leave a comment. These scratch art rocks were a good time for both the kids and the adults. With only a couple of items, you’re able to create a wonderful sensory experiment for kids. We’re sharing the secret to the coating that allows the scratch art rocks to work. Grab some crayons and let’s get started! 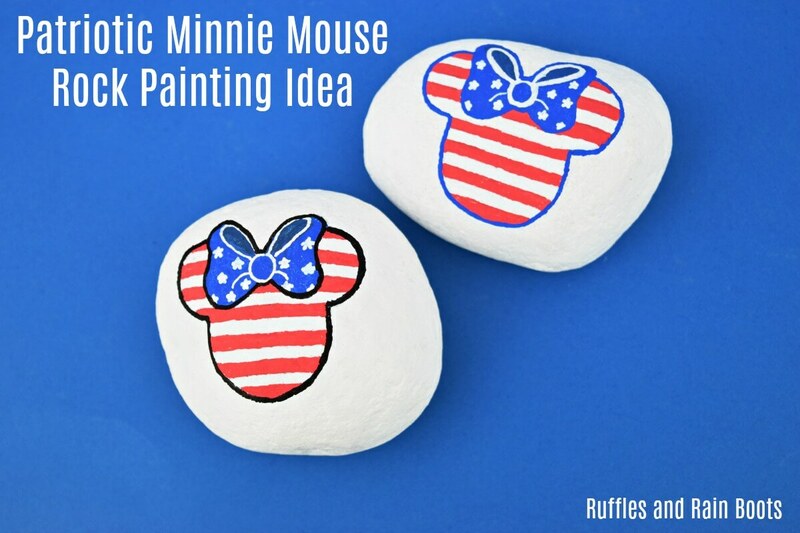 We made these patriotic Minnie Mouse rocks one morning as we talked about the parts of the American flag. This design works for any of your favorite characters. The best part? It’s so quick to come together. 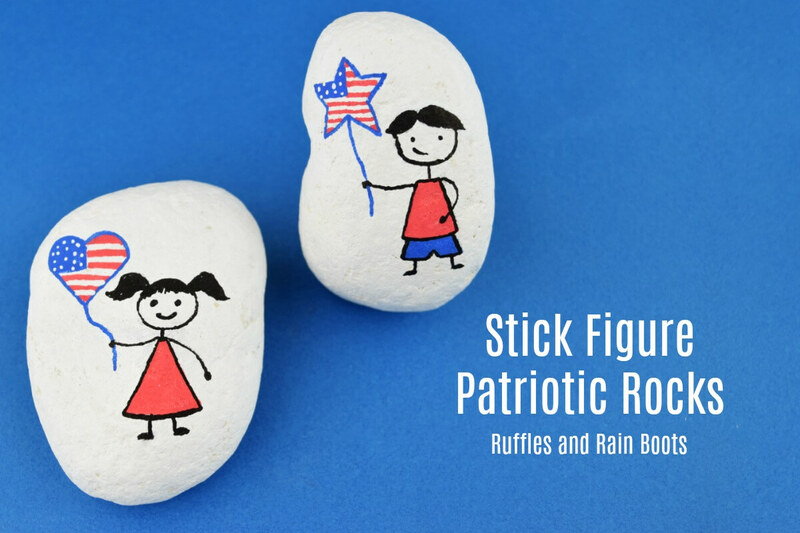 How adorable are these boy and girl patriotic stick figures? Anyone of any age or skill level can paint these cuties! These painted rocks with jewels are some of my daughter’s favorites. She gave a few to classmates and they were a big hit! The best part is that there is no way the little ones can get them wrong. 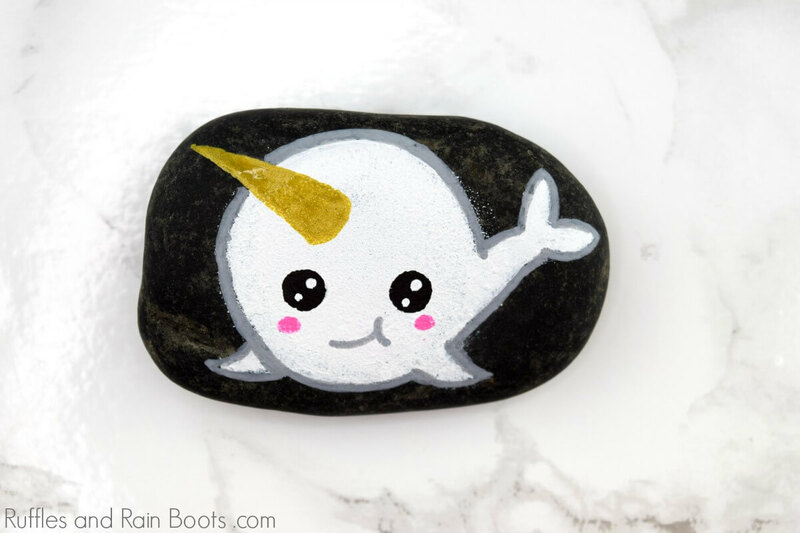 Click on through for this fun painted rock craft for all the glitter and sparkle lovers. There was a huge storm one weekend and we were hunkered down. 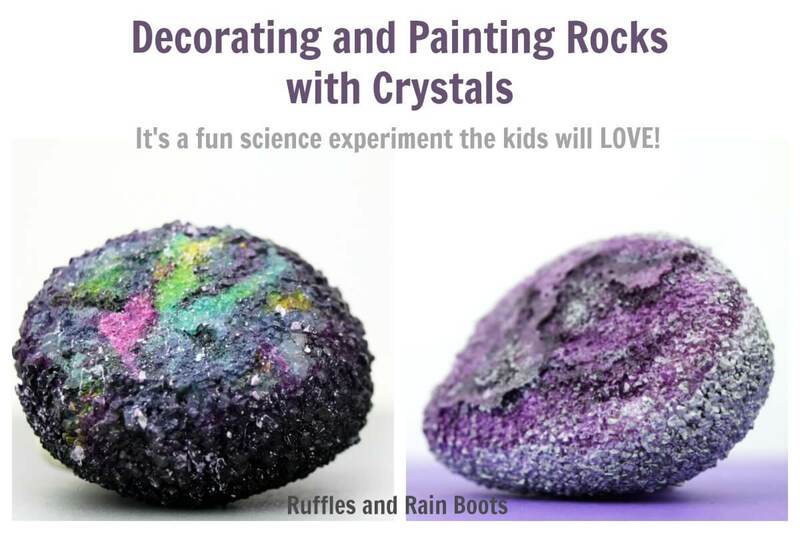 We set up this fun science experiment and once we got the crystal rocks, my daughter and I had a great time painting. 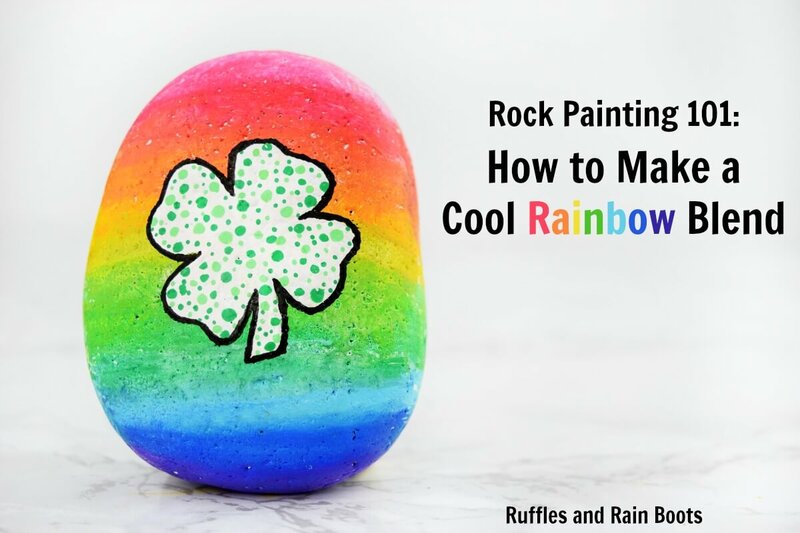 Blending paint on rocks can be tricky, but this rainbow rock painting tutorial will teach you how to easily blend paint pens. 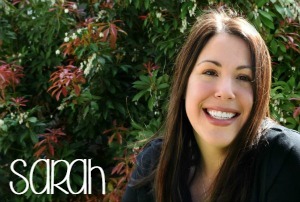 It’s quick, easy, and the results are stunning! 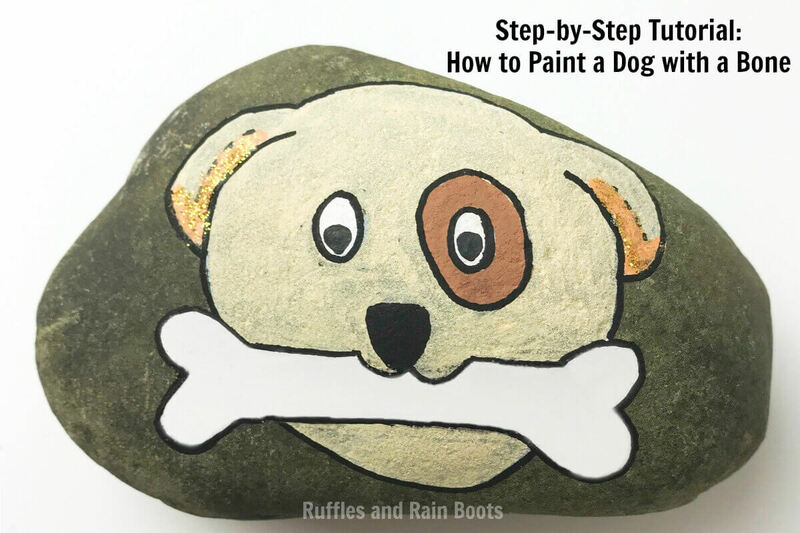 The best part of this fun rock painting idea is that you only need paint pens and a dry paintbrush. It’s such a fun craft. 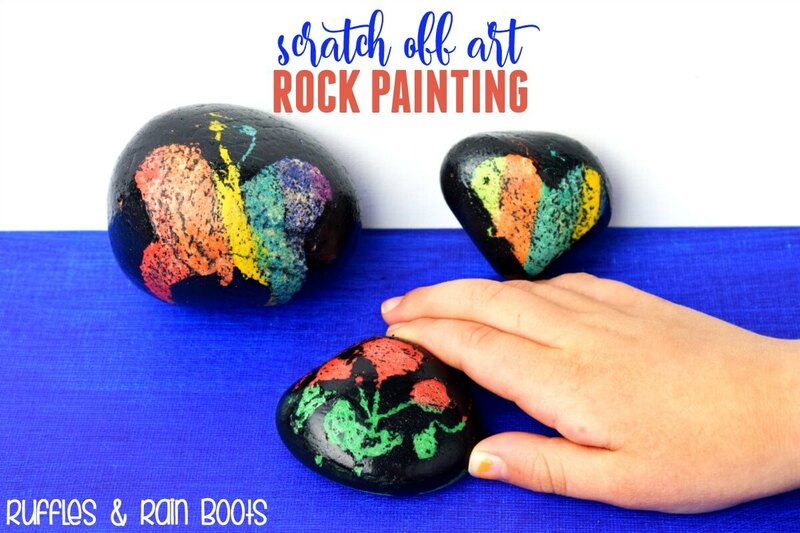 Both kids and adults love rock painting with sponges (trust me – I made at least 5 rocks this way after my daughter was in bed)! Click through and check out how easy it is for even young children to make rainbows with the sponge painting method. 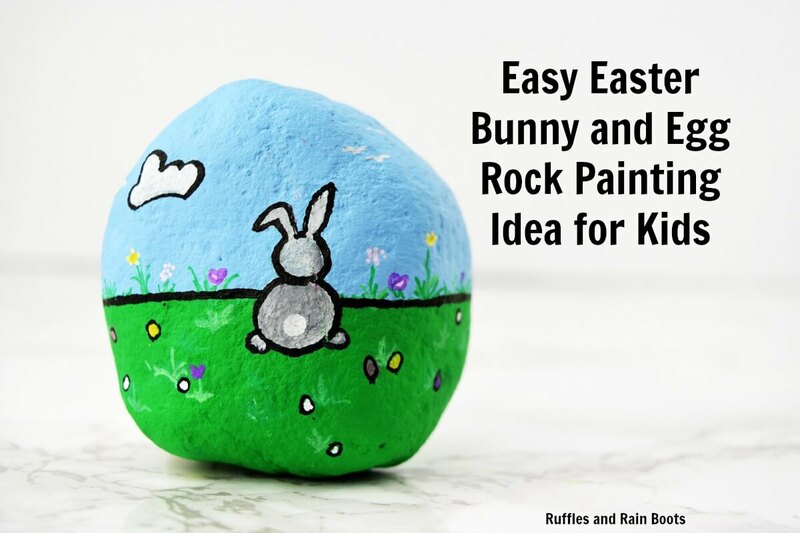 We set up this bunny simple shape rock painting to teach kids that all art can be broken down into basic shapes. It can be hard for the youngest ones to want to paint something but not have the fine motor control to make it come out the way they want. Let’s share how to build a bunny easily. 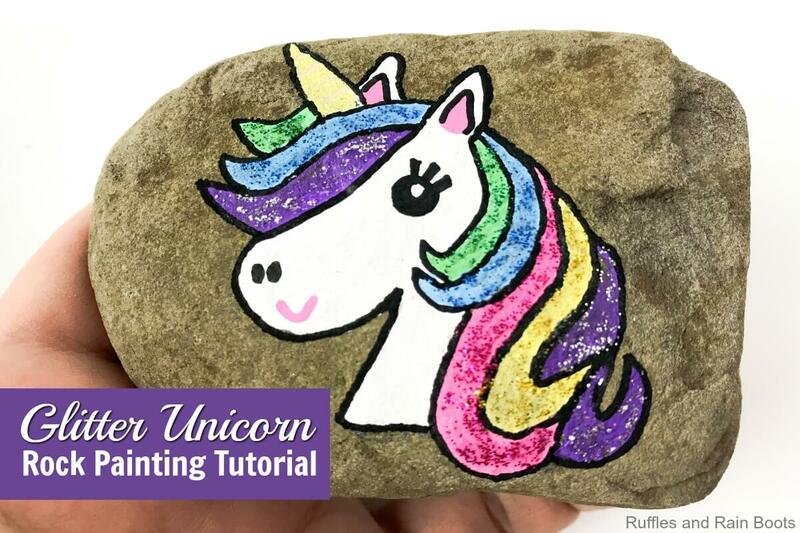 For older kids, this painted unicorn rock idea might be the best thing since sliced bread. The always popular unicorn is made a bit shinier with a glitter overlay. 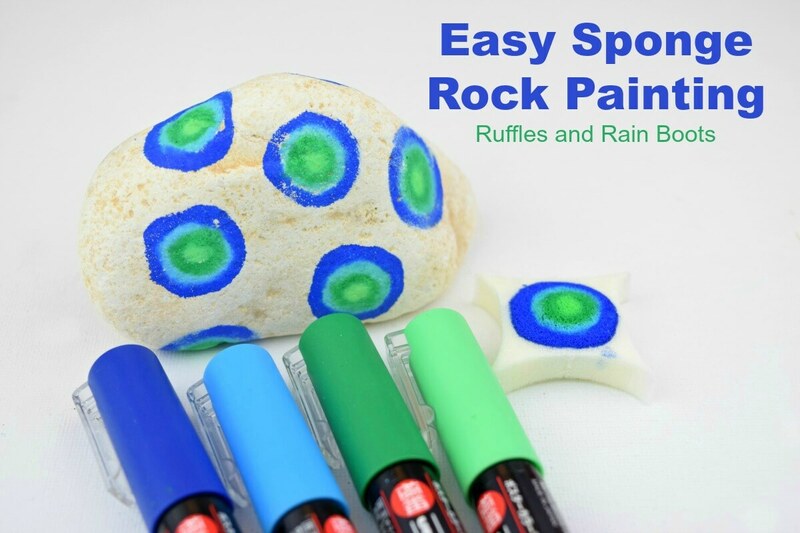 Pin this page or share it on Facebook – we’ll be updating it often with more rock painting ideas for kids.